THE fruit business Haygrove Ltd, which is based in Ledbury, has been successfully prosecuted by Severn Trent after its fruit farm on Newent turned tap water pink, due to fertilizer contamination. In total, 30 homes and a caravan park were affected. The business faced two charges at Hereford Magistrates Court on December 18, and Haygrove pleaded guilty to both after Severn Trent found that its farm in Newent, was the source of the contaminated water, last June. The problem was caused by a cross connection, where the main water pipe and the farm’s private pipes were connected incorrectly. Haygrove Ltd was ordered to pay £6,317.78, including costs. Severn Trent was also paid compensation for the costs relating to the incident. The additional amount ordered totalled £5,390.06, meaning a total £11,707.84 is payable by the fruit farm. Dan Littlewood, water fittings expert at Severn Trent, said: “We hope this case goes to show just how important it is for companies and individuals to comply with water regulations, as it’s so important to ensure public health and that our customers’ water supplies remain unaffected. 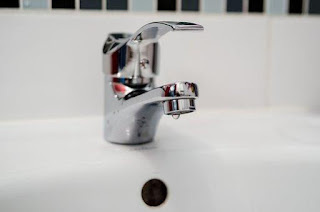 Severn Trent was awarded compensation as a reimbursement for the money and time spent in initially responding to, and then dealing with, the contamination. The contamination from the fruit farm saw around 30 homes and a caravan park have pink water after the water supply was contaminated with pink fertilizer used at the farm.